ROME (IDN) - The 10th anniversary of the adoption of the UN Security Council Resolution 1540 on April 28, 2014 can be especially propitious for standing back from the perennial present of international security issues and evaluating longer-term trends. The threat posed by the spread of nuclear weapons and ballistic missiles is one of the main security challenges of the 21st century. The fall of the Berlin Wall and the end of the Cold War led to a gradual reduction both in the security framework and in the perception of security. In order to address this challenge and develop appropriate solutions, accurate risk factors analysis is required, as well as the ability to generate a multi-dimensional response: promoting the development of a comprehensive non-proliferation regime while also trying to explore how nuclear energy can safely be harnessed for sustainable economic development. The implications of nuclear proliferation for international relations are difficult to predict but profound. First, the spread of nuclear weapons and ballistic missiles has had a deep impact on the bipolar system, freezing the most dangerous regional conflicts. This is the argument developed by “the school of realists”, in particular Kenneth Waltz, who believe that "more may be better" in the basic rationale of State actors. Second, proliferation may affect the way wars may be conducted. Indeed, during the Cold War the competition between the two superpowers was merely the "continuation of politics with other means", because a real war was avoided given the high destructiveness of the new technologies. There is also a widespread fear that these weapons may fall under the control of terrorists or other no-State actors who would be immune from threats of retaliation. International efforts to stem the spread of nuclear weapons typically focus on the atomic ambitions of the Democratic Republic of Korea (DPRK) and Iran. The leaders of the two countries still remain unmoved by international condemnation and pressure. In their power perception, national security and international prestige derive from nuclear weapons and this view seems more compelling than the penalties and sanctions resulting from multilateral diplomacy (Res 1718, 1874, 2087, 2096 and 1965). Indeed, a comprehensive approach to non-proliferation seeks to dissuade leaders from pursuing nuclear weapons capabilities as a source of national prestige and security defence strategies. The current North Korean nuclear crisis cannot be fully understood without a reference to both the historical nuclear ambitions of North Korea and its economic plight. Indeed, the DPRK remains isolated, economically under a near collapse, facing a devastating humanitarian crisis. Its decision to withdraw from the nuclear Non Proliferation Treaty in 2003 and to restart graphite moderated reactor and nuclear ballistic tests have sparked international concern over nuclear proliferation and regional concern about the imminent crisis. These concerns are heightened by the DPRK ballistic missile programme and the potential proliferation of both nuclear and ballistic missile knowledge and components. According to the US intelligence estimates, the DPRK already has one or two nuclear devices and the ballistic missile development programme includes the NODONG and TAEPO DONG series of missiles. 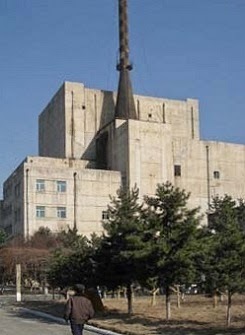 The International Atomic Energy Agency (IAEA) notes two distinct phases in the development of the DPRK's nuclear programme: a first stage started with an agreement with the then Soviet Union for the cooperation in nuclear research in 1956 and a second phase with the construction of a natural uranium reactor at the Yongbyon complex in 1986. In spite of international condemnation and the UN Security Council Resolutions, North Korea continues to launch short and long-range rockets. The last launch was on July 2, 2014, defying UN ban on the country testing such weapons. The launch came days before Chinese President Xi Jinping's scheduled state visit to South Korea. The efforts to prevent North Korea's pursuit of nuclear weapons are among all the longest running and least successful ones in international security of the past quarter century. Despite the very remote prospect for solving the crisis through multilateral dialogue, the crisis has had the interesting effect of bringing together all regional countries in the Six-Party talks, in collaborative efforts towards a common regional security. Some promising breakthroughs occurred in 2005 and in 2008, with North Korea's commitment to abandon its nuclear programme in exchange for development aid. Disagreements over the verification protocol stalled the process: North Korea was still in the US terrorism list and multilateral negotiations have not been held since 2008. Two recent developments in particular have diminished political support for accommodation and engagement: North Korean participation in the construction of a nuclear reactor in Syria, destroyed in an Israeli attack in 2007 and the continuation of the North Korean nuclear tests. Nuclear Security Summit held in The Hague on March 24-25, 2014, the P5 Meeting and the conclusions of the G7 highlighted that North Korea nuclear problem is a multi-faceted problem with not just global implications for the non-proliferation regime and global war on terrorism, but also regional and local implications for the security of Northern East Asia and the Korean Peninsula. The need for a global zero tolerance to the development of nuclear programmes as well as the need to create a binding legislation to face the current threats, has also been stressed. However, despite the common goal of the main actors involved, namely Japan, China, South Korea and USA, each country has different priorities in exactly how to resolve the crisis that in turn could prove divisive depending on how the crisis continues to unfold. Japan's protection under the US nuclear umbrella, as the main off shore security provider in the region, has virtually eliminated any need for it to develop nuclear weapons on its own over the past half-century. Indeed, Japan's non-nuclear posture is often perceived to be rooted in strong national consensus based on emotional reactions to the 1945 bombings of Hiroshima and Nagasaki and the 1954 Daigo Fujuryu-maru incident. In order to protect the territories and military forces from threats of North Korean attacks, the US, Japan and South Korea have deployed ballistic missile defence. During 2009 and 2012 North Korean long-range missile tests, the US and allied forces reportedly made ready and available a number of ballistic missile defence systems, in addition to the intelligence gathering capabilities sent into the region. In response to the exacerbated tensions in April 2013, the US deployed a ballistic defence system in Guam. Even the reliability of the US-Japan alliance, the North Korea nuclear threat, the regional background of a rapidly growing China in the process of military modernisation and the global challenge to the nuclear non proliferation regime created the context to reconsider Japanese security policy. An important step has been the revision of the post-war peaceful Constitution on July 1. Adopted in a cabinet resolution, the amendment to the Article 9 of the Constitution represents an historic move to reinterpret the country's post-war peaceful defence policy. It is a victory for Prime Minister Shinzo Abe and it will widen Japanese military options by ending the ban on exercising "collective self-defence". Japan would exercise the right of collective self-defence only when "clear danger" exists to the lives of people in countries "with close ties" to Japan and military intervention should be limited to the minimum amount necessary. Another additional element which can impact Japan's approach to security and to the North Korea nuclear menace is the recent decision of lifting part of the unilateral sanctions imposed along with the UN Security Council Resolutions in the wake of nuclear tests carried out by DPRK. This renewed approach of Japan to the nuclear crisis comes after the meeting between the two countries in Beijing and it contains the obligation for North Korea to re-investigate the disappearances of Japanese citizens during the 1970s and the 1980s. The role Beijing chooses to play in the light of Pyongyang's accelerated nuclear activities and provocative rhetoric has highlighted the emergence of China as a geopolitical conflict mediator. In fact, beyond the North Korea crisis, the future configuration of the Korean Peninsula will be a major determinant of the geo-strategic balance in East Asia. The course of China will be determined primarily by the sustainability of its economic prosperity, the adaptability of its political system to economic and social pressures, and the management of relations with the United States. The United States and China share a common set of overarching goals with regard to the Korean Peninsula: both wish to see a stable and non-nuclear North Korea. Considering how to achieve those aims, however, and under what terms exposes divergent priorities and strategic preferences between Washington and Beijing. China's role as host of the Six Party Talks and as North Korea's chief benefactor, confirms the critical importance of its role in the US policy towards North Korea. In addition, China's permanent seat on the Security Council ensures its influence on any UN action directed at North Korea. In addition to being North Korea's largest trading partner by far, China also provides considerable emergency and humanitarian assistance in particular in food and energy aid as essential lifeline for the regime if Pyongyang. It is clear that Beijing cannot control Pyongyang's behaviour, particularly in the cases of provocative nuclear tests and missiles launches, but even temporary cessation of economic and energy aid is significant for North Korea. Beijing also fears the destabilizing effects of a humanitarian crisis, significant refugee flows over its borders and of a consideration on how other nations, particularly the USA, would assert themselves on the peninsula in the event of a power vacuum.